Soft Moss Stitch. I’m not sure what I love most: the amazing texture of this beautiful stitch or it’s lovely name. 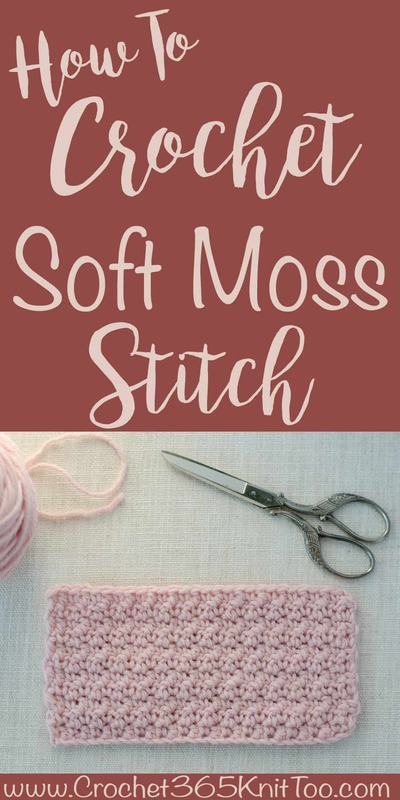 The soft moss stitch is a perfect example of how simple stitches can combine to form something amazing! In cotton yarn this would make a great dishcloth pattern. Or maybe a nice, warm sweater fabric on a cold day. 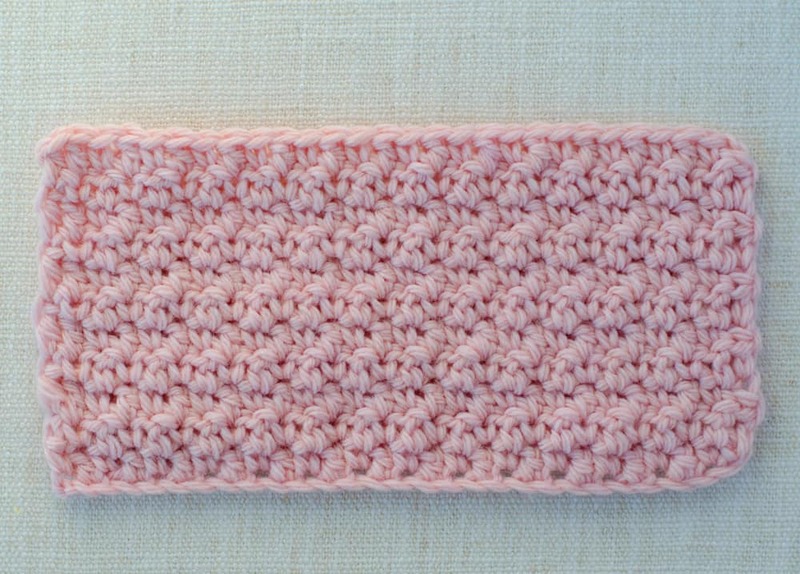 This is a fun stitch swatch to add to your stash. R1: ch 2 (counts as a hdc here and throughout), skip the 1st hdc, *sc in the next dc, dc in the next sc*, repeat * to * across, ending with a hdc in the top of the turning ch, turn. I love seeing your finished projects! 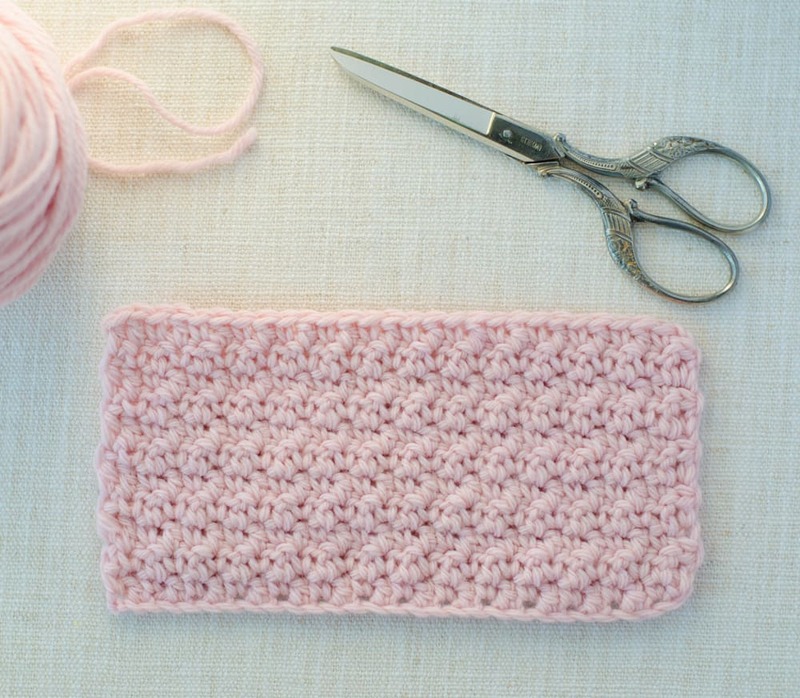 If you share your project using the Soft Moss Stitch on Instagram, be sure to tag me @crochet365knittoo. If you are on Facebook, stop over to the Crochet 365 Knit Too Facebook page and share a photo! I’d love to see your work!